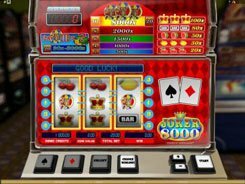 This is a classical Microgaming’s slot that features Vegas-style symbols and easy to play rules making it an ideal option for novices. 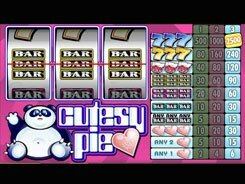 Basically, Cutesy Pie is a standard 3-reel 1-payline slot in terms of its overall layout. Yet there is a panda beer on the pink background, which adds some unique touch to the gaming action. The symbols set includes bars, yellow sevens, blue sevens, and a red heart with the printed I Love You. 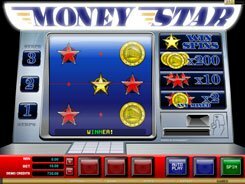 You may pick a coin size from $0.25 to $5 and choose one, two or three coins per line, per spin. 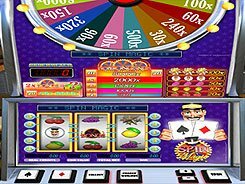 Therefore, the minimum and maximum wagers amount to $0.25 and $15. Hearts are low-pay symbols that award 2 to 30 coins for 1–3 of a kind. 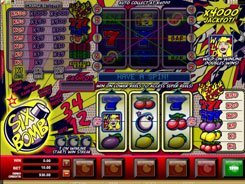 Like in many other fruit machines, bar symbols come in three variants, so winning combos may be created from three matching or any single, double or triple bars, paying out up to x90 times a bet. 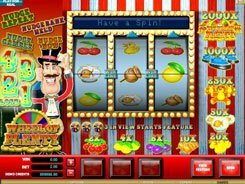 Watch out for Blue Sevens, since 3 of them yield the slot’s jackpot worth x2500, provided you have wagered three coins. 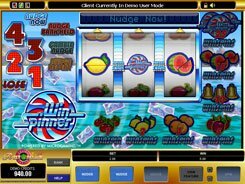 There are no scatters, wilds or free spins in the slot, so you can concentrate more on the gameplay and enjoy pure entertainment delivered to you by Microgaming. PLAY FOR REAL MONEY!